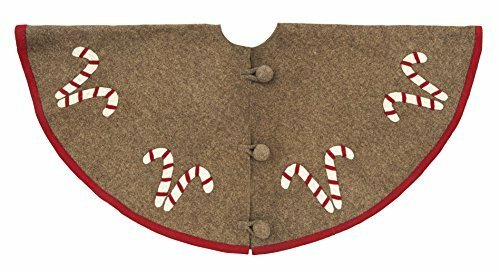 Candy cane pairs come to life on this cheery 100percent sustainable wool tree skirt, on neutral brown with lively red trim. A sweet treat for children and adults alike! hand appliqued and hand felted. 60 inch diameter.